Only problem was, that was DC’s Captain Marvel, and the comic title was Shazam! He was on TV as well, paired with oh mighty Isis, a name you probably wouldn’t use today. I was so confused when I learned that Marvel also had a Captain Marvel, but I didn’t read any of those books. Flash-forward to that most recent Avengers movie, which was a snooze until the end when it got pretty great: Nick Fury dug through his pocket, next to the Capital One card (what’s in your wallet? or are you just happy to see me? ), and fished out a pager to summon Captain Marvel to save the day. The Marvel Captain Marvel. Then we learned that Brie Larson would portray Captain Marvel, and we love Brie Larson. She is perhaps our best young actress right now, and if Cumberbatch can slum in these silly cartoon stories then so can she. 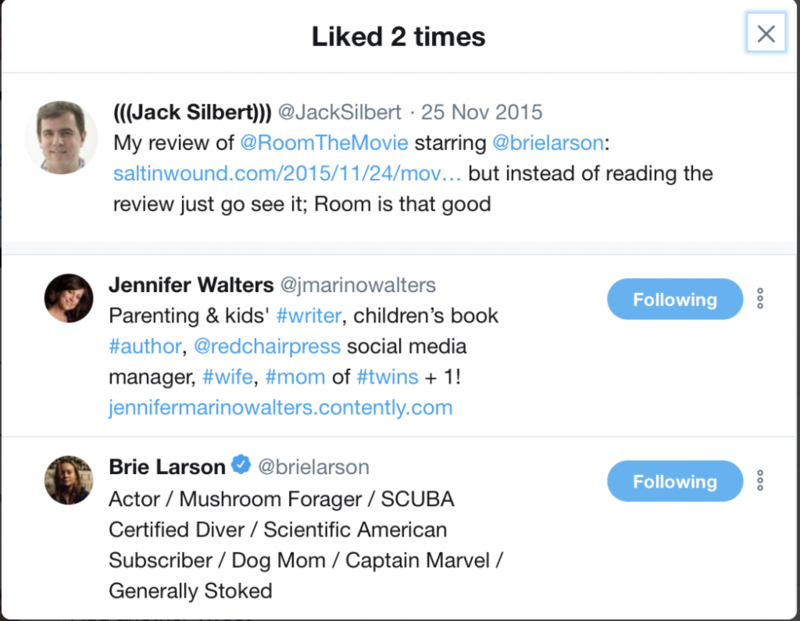 Oh, also Ms. Larson “liked” the Tweet of my review of the movie Room, so I am forever devoted to her. Also devoted to Jennifer Walters, of course. But before she (Captain Marvel, not Jen) can save the day, we need to get the origin story. Because these comic nerds love their origin stories, and Marvel gets to grab even more of our money from yet another flick. Origin stories are rarely strong enough to fill an entire film, but they keep making ’em. And thus we get Captain Marvel. And just to F with me, the Shazam movie is out at the same time. Captain Marvel is the kind of movie where you think, “Poor Annette Bening, why did they make her put on a ridiculous outer-space suit?” Ewan McGregor returns as Obi Wan Kenobi and… oh wait, it’s Jude Law and a different sci-fi series. This is set in the 90s so we get to laugh at Blockbuster Video and the grunge-era clothes and the producers get to put different songs on the soundtrack than they did for Guardians of the Galaxy. And Samuel L. Jackson has hair, but his hairline is just a wee bit too low and it distracted me the entire time. There is cute context for what I have to imagine is the final shoehorned-in Stan Lee cameo. Brie Larson is superb as a superhero — and why wouldn’t she be — making the character a much more recognizable and realistic person than these films generally warrant. The movie is… okay. Never horrible, yet never really emotionally compelling or dramatic enough. And it’s a bit cheap-looking, which surprised me: An alien race genuinely appear to be wearing rubber Halloween masks. Despite all this, I am still excited to see Brie Larson save the universe and the Avengers franchise. Until then, we have this not-too-Marvelous pit stop.